It’s because of that tackle, isn’t it? 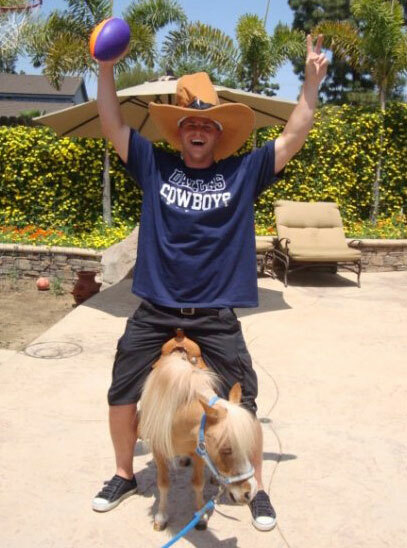 More like because of the pic of him wearing the giant cowboy hat while straddling a miniature horse. Perhaps most well known for making the horse collar tackle illegal, Roy Williams had a fantastic career before the NFL shifted to a more pass happy league. Drafted 8th overall out of Oklahoma, Roy made his impact felt around the league almost immediately. Williams went to five straight Pro Bowls from 2003-2007, and he was one of the most dominant safeties of the early 2000's. Williams was one of the most feared hitters in the game during that timespan, but it soon became apparent that he struggled in coverage. I vividly remember the game against the Redskins when Santana Moss torched him time and time again, signifying the end of Williams' dominance. Williams is another Cowboy who is often remembered for his blunders, but for a short five season window, you'd be hard pressed to find a better box safety. Roy might have been a borderline "Hall of Very Good" candidate had he arrived to the league five years earlier. I meant to update this with Roy earlier in the week, but I was having some trouble with the formatting until today. In 1975, the Dallas Cowboys selected a little known prospect out of Langston College by the name of Thomas Henderson in the first round of that years draft. He wasn't as big as other linebackers, but he was faster than many tailbacks and had an IQ as high as, or higher than, the players the team liked to draft from Stanford. Henderson excelled at the pro level, earning the nickname "Hollywood" for his flamboyant play and high-visibility lifestyle. 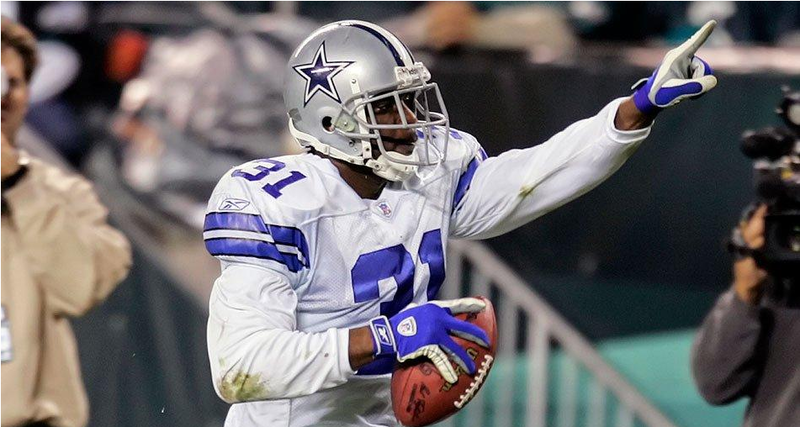 His athleticism that attracted the Cowboys to him in the first place was also utilized on kickoffs, where the team used him to run reverses, and he managed to return one for a touchdown in his career. 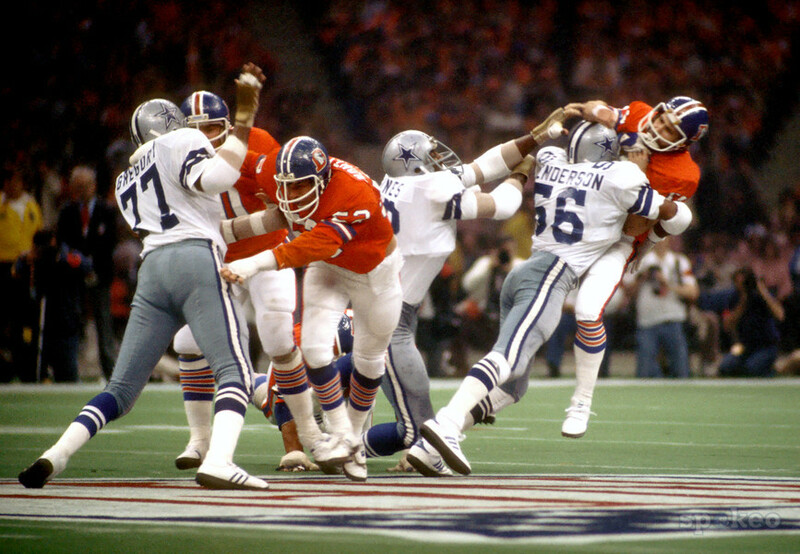 He was a main contributor for the Cowboys defense during the late 70s which earned the title "Doomsday Defense II". His play influenced many, including future All-Pro Lawrence Taylor, who said he was inspired to wear the number 56 because of Henderson. Sadly, Henderson never lived up to his full potential and his career was cut short due as a destructive lifestyle of drugs and alcohol began to catch up with him. During many games, he snorted cocaine or played them high on amphetamines and marijuana. His addiction eventually led to his dismissal from the Cowboys, when during a loss against Washington, Tom Landry finally had enough of Henderson. "Hollywood" only played one more season in the league, bouncing between Miami and San Francisco before a broken vertebra forced him to retire. After an eventual arrest and conviction which saw Henderson spend two years and eight months in a treatment center for addicts, he would return to his old neighborhood in Austin and star to turn his life around. He staged a hunger strike to raise money for a track for a local high school, he went from school to school preaching his story of fame and fortune, and how quickly it disappeared because of his addiction. "Hollywood" was the winner of the state lottery in 2000, an apparent award from above for his change in lifestyle. It's not dead, I promise. I haven't been home to format it properly. I'm OCD about that. Next guy will be up this weekend. Jeffcoat was drafted in the first round out of Arizona State, as the eventual replacement for Harvey Martin. While those are lofty shoes to fill, Jeffcoat left Dallas as the franchise's all-time (official) sack leader after twelve impact seasons. Unfortunately for Jeffcoat, most of his prime years were spent on the mediocre teams of the late 80's, but he did stick around long enough to win a pair of Super Bowls, albeit in a lesser role behind Tony Tolbert and the newly acquired Charles Haley. 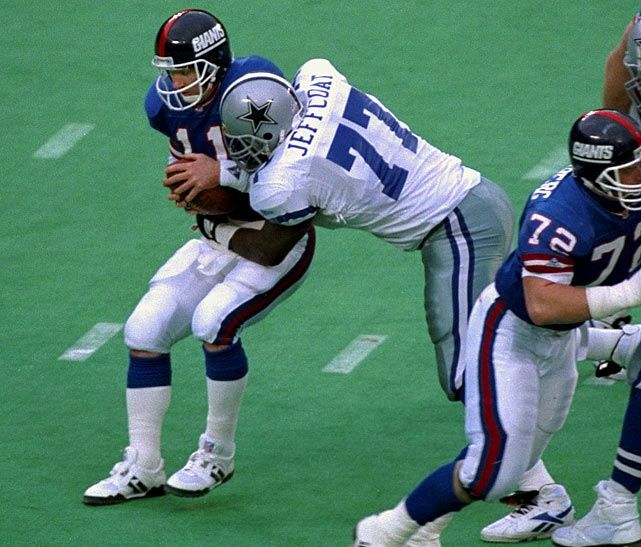 Although he never received national recognition in the form of a Pro Bowl or All Pro appearance, Jeffcoat reached double digit sacks in five different seasons, topping out at 14 in 1986. Jeffcoat was known as a high energy player with savvy pass rushing moves. Jeffcoat would spend three more seasons in the NFL, all with the Buffalo Bills before retiring after the 1997 season. He retired after 15 productive NFL seasons, and is one of the lowest profile members of the 100 sack club. It was tough to leave him off the top 50, and he certainly deserved a spot in the honorable mentions. You’d better hurry up and start naming the players or we’ll have slamman dust off his horrible Photoshop skills. 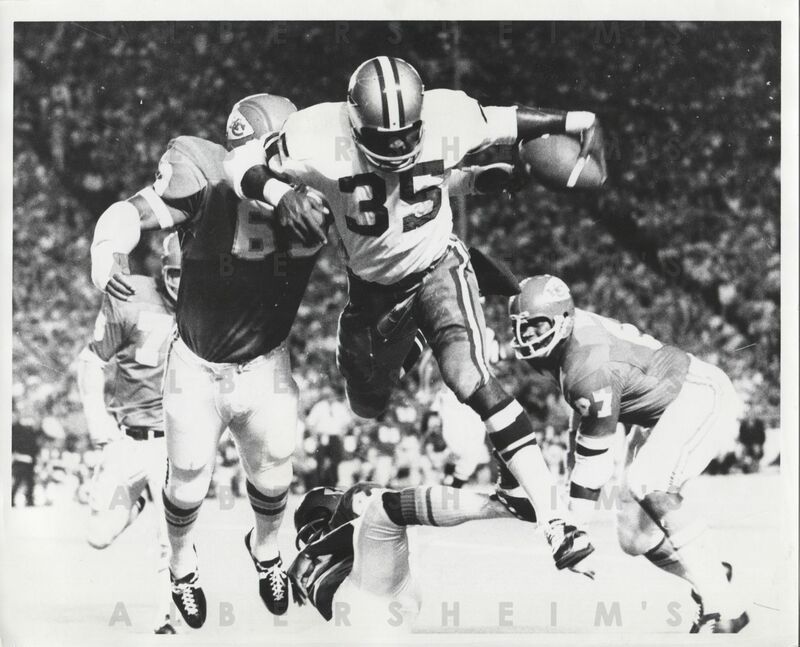 One of the first great tailbacks to wear the silver and blue, Calvin Hill was selected in the first round of the 1969 NFL Draft and made the most immediate impact out of probably any rookie in Cowboy history. Prior to Hill, the Cowboys had never had a running back rush for over 1,000 yards in a season. His rookie year, Hill came close to breaking that marker, as he accumulated 942 rushing yards and scored eight touchdowns, becoming the first rookie ever in Cowboy history to be selected to the AP All-Pro squad. While Hill would split time with Duane Thomas the next two seasons, he would become the full-time starter once again in 1972 and continued to have success as he became the first runningback in club history to surpass 1,000 yards. He was voted to the Pro Bowl for three consecutive seasons between 1972-1974. Hill still ranks fourth all-time on the Cowboys' rushing list with a total of 5,009 yards and is tied with Emmitt Smith for the most rushing touchdowns with four. Calvin Hill retired from football in 1981, after a stint in the World Football League and the Redskins and Browns following his tenure with Dallas in 1974. Hill did return to Dallas after his pro career, however, and has served as a consultant for the Cowboys' player development department for over a decade, assisting with troubled players. In 2016, he received an honorary degree from Yale University.